A hot and steamy weekend greeted the 116 players from 6 different tours this past weekend. When reviewing the overall results, we had some tight battle in 3 of the 5 flights, one flight (D) had to be settled on the course after 36 holes could not determine the winner. Before I get into the recap of the play over the weekend, I would like to take a moment and THANK all those that contributed to our Stand Up To Cancer 50/50 and raffles this past weekend. I'm sure we all know someone that has battled this terrible disease and our contributions cannot be going to a better place. This weekend alone we raised $2080 dollars, which when added to our previous contributions brings our yearly contribution to $4,705. This puts us at 63% of the goal I set at the beginning of the year. Last year the Charlotte Tour raised just under $5000 for the year. With the added 50/50 draws at each event, we are going to blow last year’s total out of the water. Another year, Another Major victory. Joe Jaspers led after day1 with a 2 under round of 68 and followed that up with a 1 under par round of 69 for a two-day total of 137 (-3) for the weekend to take home the title and punch his ticket to the National Championships in Hilton Head in October. Nipping at Joes heals all day was runner up, Jim Aughty who was Tied with 3 holes to go when #16 got in the way. Jim played consistent both days shooting 69 on Saturday and Sunday for a two-day total of 138 (-2). 3rd place went to Jared Jewitt out of the Central Carolina Tour. Jared was in the final group after posting a 69 on Saturday but only managed a 3 over par round of 73 on Sunday. His two-day total of 142 (+2) was good enough for 3rd. Rounding out the top 4, was Wally love who shook off a tough Saturday (76) to fire the best round on Sunday (68). His two-day total was 144. A model of consistency and strong play was the big story in A Flight. Don Bridges who had a late start on the season is making up for lost time. Don recorded a 6 shot victory over the weekend with rounds of 71 and 71. 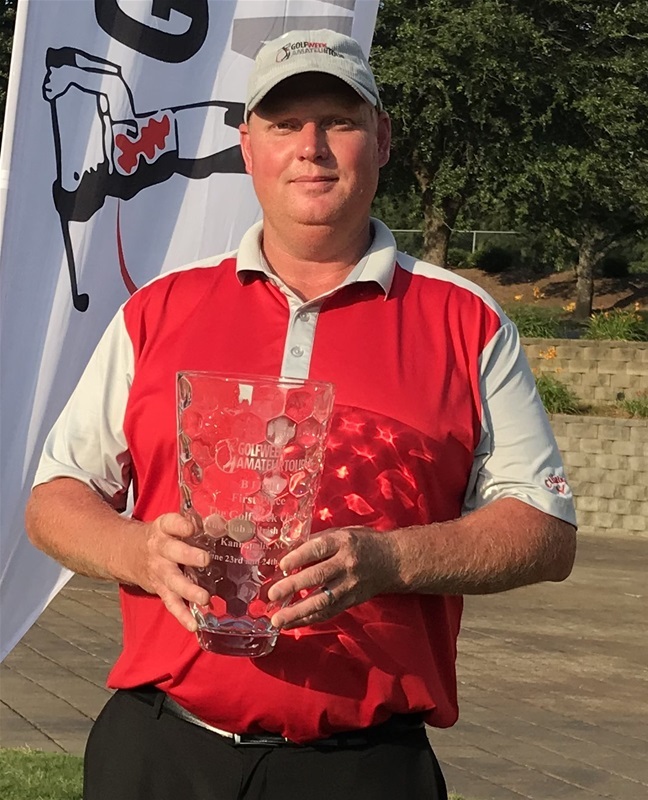 His two-day total of 142 (+2) was 6 shots better than our runner up Jason Breedlove. Don takes home the victory and his paid entry to the National Championships in October. Jason shot 75-73 for a two-day total of 148 (+6). Third place went to Joe Zabrecky 77-74 (151) and rounding out the top 4 was Daniel Gleason 75-78 (153). After the rounds were entered, Don Bridges and Jason Breedlove both received promotions to Champ Flight as their newly calculated indexes take them out of the acceptable range for A Flight. Keep in going guys.... the competition in Champ Flight will only make you better. Michael Edwards takes home his second Major of the year. 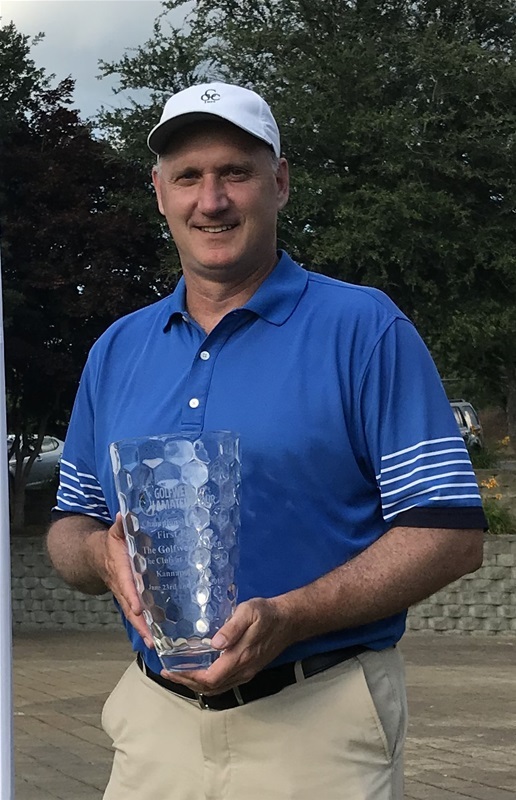 Rounds of 77-81 (158) was just good enough to win by just one shot over Dave Aussicker 78-81 (159), we won’t mention anything about a 4 putt on day 1 and an untimely hook on his 18th hole on Sunday. 3rd place went to overnight leader Cornelius Jackson (75-85). 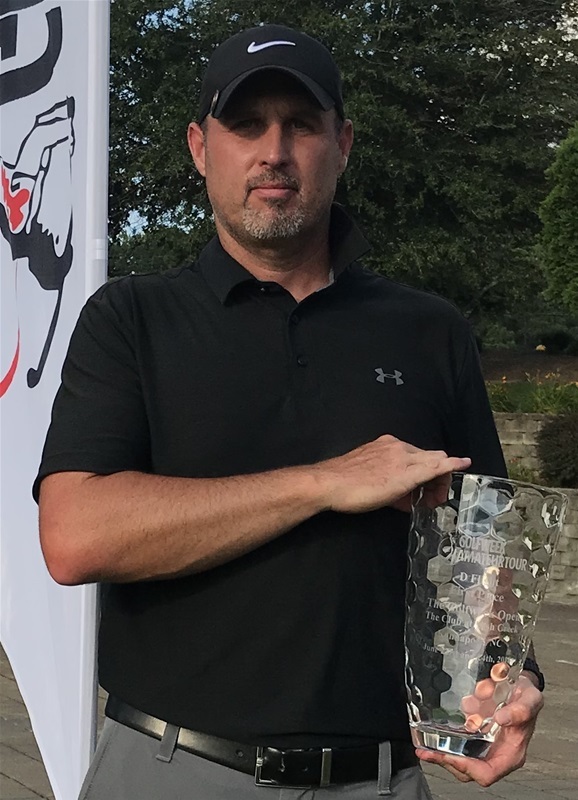 Fourth place went to Robert Gruendel (82-79) who made the biggest move up on the leaderboard to get a piece of the prize pool. Rounding out the top 5 was John Rinaldi (77-85). 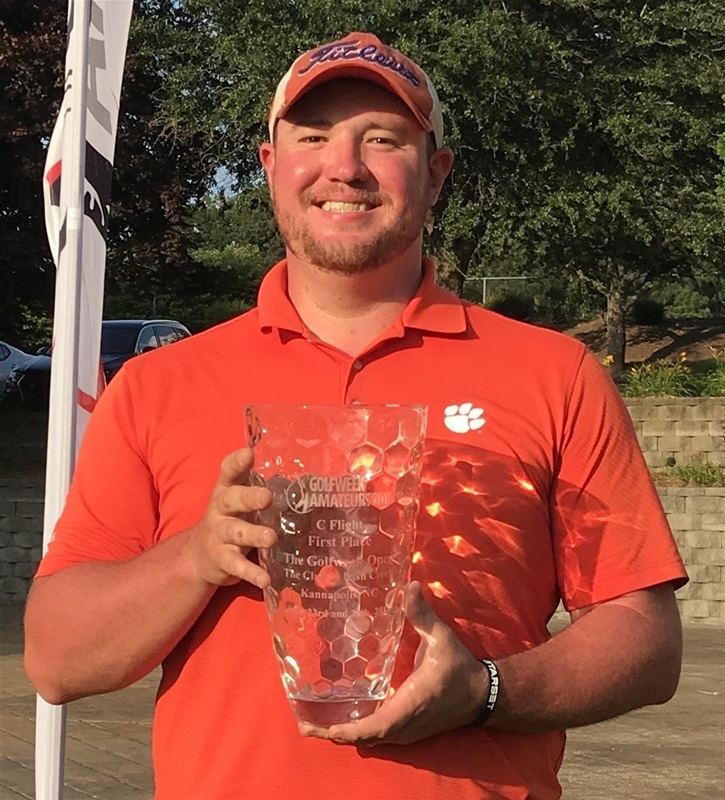 The Largest Margin of Victory was had by Matthew Gowan (77-80) who claimed a 9 shot victory (and his paid entry to the National Championships in Hilton head in October) over Michael Guarino (166) and Christian Casper (166). Mike takes second based on the 2nd round tiebreaker. Mike shot 82 on Sunday which beat of Christian who shot 86. Rounding out the top 4 was recent D flight graduate Braden Halsey 79-91 (170). Again....Another Promotion...Matthew Gowan's index now places him in B flight. What a battle...What seemed like a comfortable lead (6 shots) entering the day was not to be the case. Joseph Jones (83-92) out of the Columbia Tour struggled a bit more on Sunday than he did on Saturday to post a two-day total of 175. Toby Strickland (89-86) to also post a two-day total of 175. So, these two players went back out to 18 to settle the score. It only took 1 hole for Joseph to make a par and Toby a bogie to claim the victory and get his ticket punched to Hilton Head. 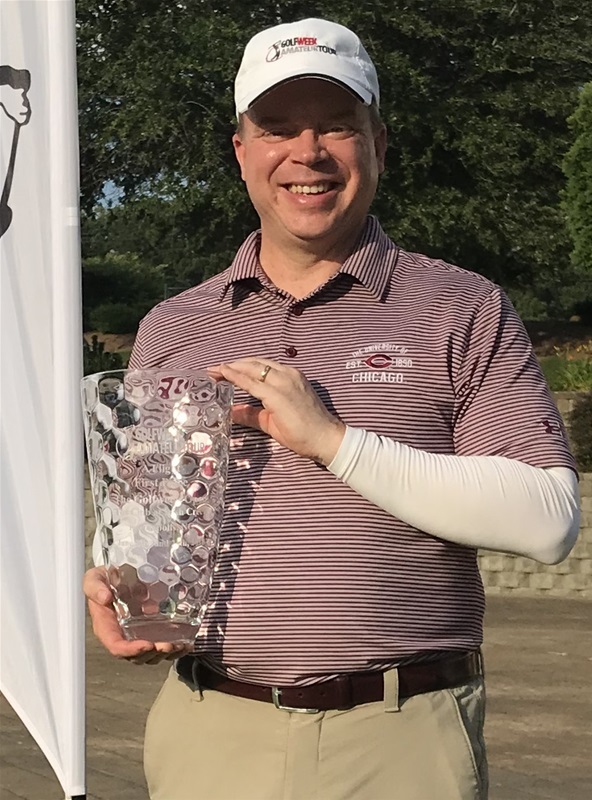 Chris Word (91-87) had a two-day total of 178 to claim third place. Again...Another Promotion... Chris Word's new calculated index takes him into the C Flight. The other big news on Sunday....NO SUPER SKINS were won. As a result, $880 rolls into the Super Skin Pot at Pine Island on Monday July 2nd (10:00 a.m shotgun start). We won't mention that one of our B players would have won the entire pot if he had decided to enter the Super Skins Pot. Due to this, I'm expecting Pine Island to sell out early this week as we are taking the first 112 paid players. So...Don't delay in getting your payments submitted. See you at Pine Island on the 2nd.